New York: Anchor Books. Very Good. 1972. Softcover. 0385073534 . 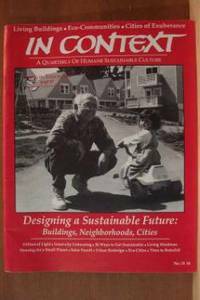 Anchor 1972 printing, softcover, 384 pages. Pages are clean and intact, no markings other than gift inscription on title page. Age tanning to page edges and cover. Cover has light wear to edges/corners and light soiling. 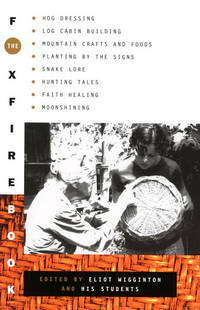 The classic do-it-yourself book, including Hog Dressing, Log Cabin Building, Mountain Crafts and Foods, Planting by the Signs, Snake Lore, Hunting Tales, Faith Healing, Moonshining, and Other Affairs of Plain Living. Profusely illustrated in b/w . (620,0415) ; 8vo 8" - 9" tall; 384 pages . R.S. Means Company. Good+. 1999. First Edition. Softcover. 0876295367 . Ex-library book, but still in quite good condition - sturdy laminated cover and usual ex-lib type of markings. Pages are all intact. A few pages have some light wrinkling to one upper corner and the occasional small spot is seen. Some soiling to outer edge of pages. Laminate on cover has light scuffing and a few small tears on rear. Good solid working copy. 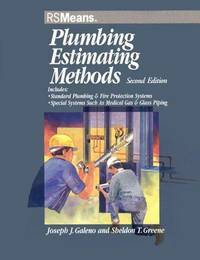 ; 4to 11" - 13" tall; 347 pages; Answers Your Questions About Plumbing Estimating & Installation for Residential & Commercial Projects * Comprehensive coverage of plumbing materials and methods, subsystems and components -- fully illustrated * Estimating tools and materials * Specifications and drawings: how to interpret information and perform a takeoff * Pricing quantities for the estimate and calculating markup * Preparing the bid * Glossary of plumbing terms and symbols for reference Includes special sections on change order analysis, estimating for additions, and alterations to existing systems. Also covers budget and assemblies estimating. A complete sample estimate shows how to perform each step in the estimating process, making it easy to follow the authors' methods. (*Note: due to heavy weight, extra postage may be required) (1065,0811) . Spon Press. Very Good+. 2004. Second Edition. Softcover. 0415318548 . Ex-library book, but still in great condition - sturdy laminated cover and usual ex-lib type markings such as front and spine sticker. Interior pages clean and tight. Cover has light scuffing and a little wear at corners. ; Spon's Contractors' Handbooks; 8vo 8" - 9" tall; 320 pages; All the cost data you need to keep your estimating accurate, competitive and profitable. Do you work on jobs between £50 and £25,000? - Then this book is for you. 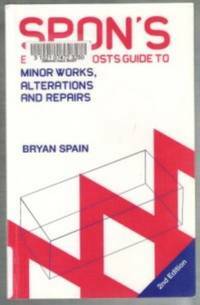 Specially written for contractors, quantity surveyors and clients carrying out small works, Spon's Estimating Costs Guide to Minor Works, Refurbishment and Repairs contains accurate information on thousands of rates each broken down to labour, material overheads and profit. More than just a price book, it gives easy-to-read professional advice on setting up and running a business including: * Taxation* Book-keeping, VAT and CIS4's* Legal obligations. For the cost of approximately two hours of your charge-out rate (or less) , this book will help you to: * Produce estimates faster* Keep your estimates accurate and competitive* Run your business more effectively* Help save you time. No matter how big your firm is - from one-man-band to an established business - this book contains valuable commercial and cost information that you can't afford to be without. [422-noto] . McGraw-Hill Professional. Very Good. 1988. Second Edition. Softcover. 0830628819 . Second Edition. Ex-library book, but still in very good condition - sturdy laminated cover and usual ex-lib type markings such as front and spine sticker. Interior pages clean and tight, light soiling/spotting to outer edge of pages. Cover has light scuffing and light wear at corners. B/w illus. 337 pages. 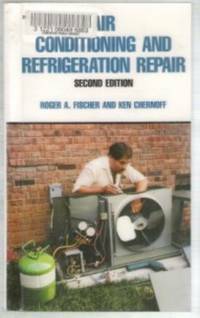 ; 8vo 8" - 9" tall; 337 pages; A common sense guide to maintaining and repairing all types of cooling and refrigeration units. A toolbox companion for the technician and the do-it-yourselfer alike. 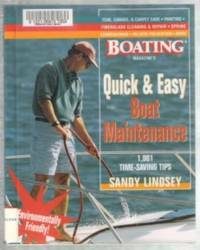 Covers maintenance, troubleshooting and repairing. [371-noto] . Sun Designs. Very Good. 1984. First Edition. Softcover. 0912355042 . Ex-library book, but still in very good condition. Sturdy laminated cover and usual ex-lib type markings. Internal pages tight and clean other than light soiling inside covers. One outer edge of pages has a little more soilng. Light scuffing to laminate. Covers the building of storage sheds, cabanas, garbage can enclosures, studios, barns, animal shelters, etc. ; 4to 11" - 13" tall; [411-osl] . Doubleday. Good. 1981. First Edition. Softcover. 0385112114 . Ex-library book with sturdy laminated cover and usual ex-lib type markings. Pages are intact, with occasional light soiling - soiling a little moreso to outer edge of pages. Cover has scuffing and light edgewear. B/w illustrations. 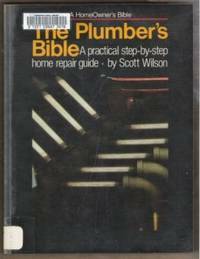 The complete how-to guide for basic home plumbing procedures, from repairing a leaky faucet to installing new fixtures. [431-osl]; 4to 11" - 13" tall; 146 pages . Tab Books. Very Good. 1992. First Edition. Softcover. 0830639179 . Ex-library book, still in very good condition. Sturdy laminated cover and usual ex-lib type of markings. Pages clean and intact . Cover has light edgewear and light soiling. Illustrated. 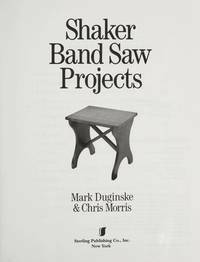 ; 8vo 8" - 9" tall; 192 pages; A guide for the amateur mason. Demonstrates how to: create pattern bonds, select tools and estimate materials, make scaffolds, mix, test and pour mortar, lay all kinds of brick and blocks, cut bricks, finish mortar joints and others. (403osl) . Meredith Books. New. 2006. First Edition. Softcover. 0897215133 . New book, profusely illustrated in colour. Various authors. 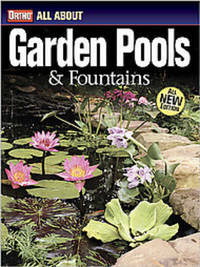 A complete guide to successful garden pool and fountain projects, packed with 260 photos, 60 illustrations, and loads of expert advice. Provides practical, easy-to-understand descriptions and techniques for designing, constructing, and maintaining the water haven of every gardeners dreams. Solution-based advice effortlessly guides homeowners looking to take the logical next step in gardeningadding beautiful water features to their yard. (*lower shipping avail to most locations) [osl-411] ; 4to 11" - 13" tall . Storey Communications. Very Good in Very Good dust jacket. 1994. First Edition. Hardcover. 088266834X . Ex-library book, but still in very good condition - usual ex-lib type of markings. Pages clean and intact. Cover has light edgewear and scuffing, light spotting outer edge of pages. " 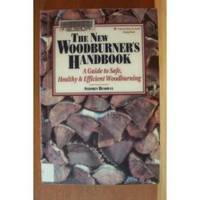 Burch offers numerous do-it-yourself projects and provides clearly detailed directions to help ensure success, with information on everything from the required tools and techniques to specific advice on different kinds of lumber for each task. There is even a drawing showing more than 20 types of nails and their correct nomenclature. 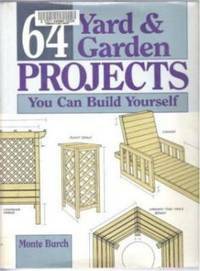 Extremely simple designs include plant stands and a bean tower for the vegetable gardener. To motivate people with more expertise, a portable greenhouse or an around-the-tree bench may be just the ticket. There are plenty of projects here for anyone itching to construct something utilitarian for the outdoors. " ; 4to 11" - 13" tall; 186 pages . Vancouver, B. C.: Self-Counsel Press. Very Good. 1990. Softcover. 0889086451 . Clean, tight condition. Light edgewear/scuffing to cover. Pages are unmarked except for name/phone # inside back cover. Approx. 91 pages. Everything you need to know to successfully prepare and market your own home for sale. (*shipping will be reduced after checkout on this lighter book) ; 8vo . Prince George, B. C.: Self Published. Very Good. 1972. Second Edition. Hardcover. 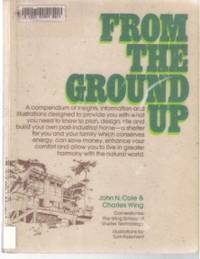 Collectible early 2nd edition 1972, self-published. Hardcover, no jacket as issued, illustrated front. Cover has light edgewear, light soiling. Laminate on cover is a bit at two corners. Pages are very good - clean and intact, light age tanning. B/w illustrations. 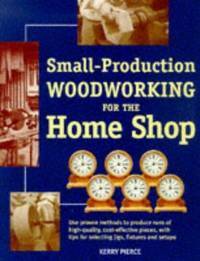 This classic is still considered the best book ever written on making a full sized log home. 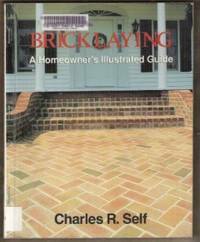 Building with Logs covers: financing, the site, planning a good home, acquisition of logs, how to fall a tree and trim it, storage of logs, safety, foundations and basements, first logs and floor joists, hewing and the broad axe, cutting a round notch, sealing between the logs, setting allowance, gable ends, electrical wiring, finishing touches and much more. The author has continued to teach, design and build. His schools have trained thousands of good craftsmen, some of whom formed companies to build internationally, with the result that the world-wide standard for excellence in log building is now a "Mackie" log house. (682) ; 8vo 8" - 9" tall . St. Martin's Press. Near Fine in Very Good+ dust jacket. 1985. First Edition. Hardcover. 0312506783 . HC/DJ - near fine/VG+. Hardcover clean and intact, fine other than a little bumping to corners/spine ends and light age tanning to page edges. B/w & colour illus. Jacket has light edgewear, scuffing, couple tiny tears and tanning to edges. 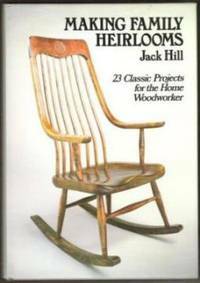 23 projects for making classic pieces of furniture using traditional methods and materials, accompanied by clear working drawings, measured diagrams and photos where appropriate. Projects: shelves and boxes , stools, spinning chair, corner cabinet, pedestal table, chest, cradle, dining table, ladderback chair etc. 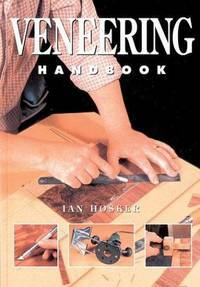 Intended more for the experienced woodworker than the beginner. ; 8vo 8" - 9" tall; (*Note: due to heavy weight, extra postage will be required to all locations). .
Little, Brown & Company. Very Good. 1993. Softcover. 0316841102 . Ex-library with sturdy laminated cover, usual stamps & stickers, only light wear overall, light soiling outer edge of pages. Interior pages clean & tight. Colour illustrations. 270 pages. 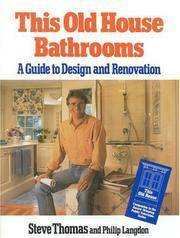 A guide to bathroom design and renovation leads homeowners through the process, presenting chapters on children's bathrooms, barrier-free baths for the elderly and handicapped, utility bathrooms, exercise bathrooms, and others. ; 8vo .